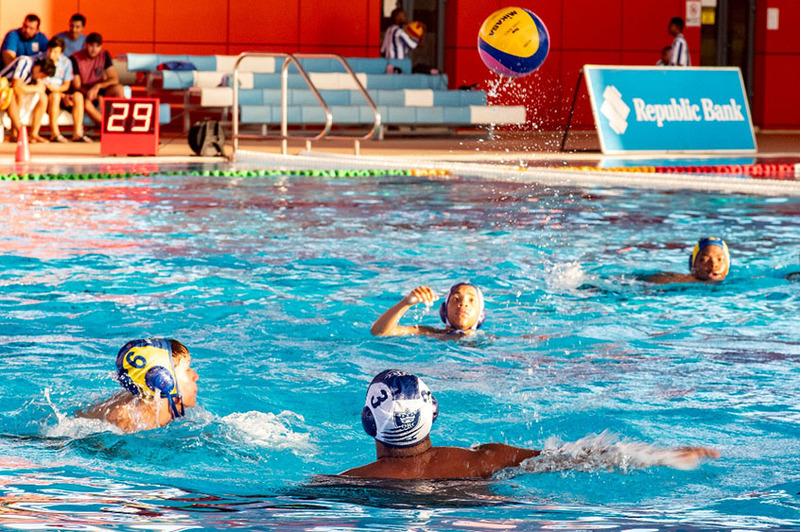 Port-of-Spain, Trinidad, January 15, 2019: The National Schools Water Polo League season began on Saturday, January 12, with the launch of the Republic Bank National Secondary Schools Water Polo League at the Aquatic Centre. Over the course of the next six weeks, the Secondary Schools League will see approximately 200 athletes from Bishop Anstey High School, Holy Name Convent, St. Joseph’s Convent (Port of Spain), Fatima College, St. Mary’s College, Trinity College and Queen’s Royal College compete for League titles in eight categories. The League’s opening day began with a symbolic game between former Queen’s Royal College and St. Mary’s College, followed by four emotionally charged games between the League’s current players. The opening 5-4 game between Nostalgic Queen’s Royal College and Nostalgic St. Mary’s College was followed by an especially exciting game in which Fatima College scored the final goal against Queen’s Royal College in the last minute of the fourth quarter, winning 13-12. This feat was followed by a 21-4 game between St. Joseph’s Convent and Holy Name Convent, and a 15-11 game between St. Mary’s College and Fatima College. Queen’s Royal College closed day 1 of the league on a high point, topping Trinity College, 21-0, in the final game of the day. 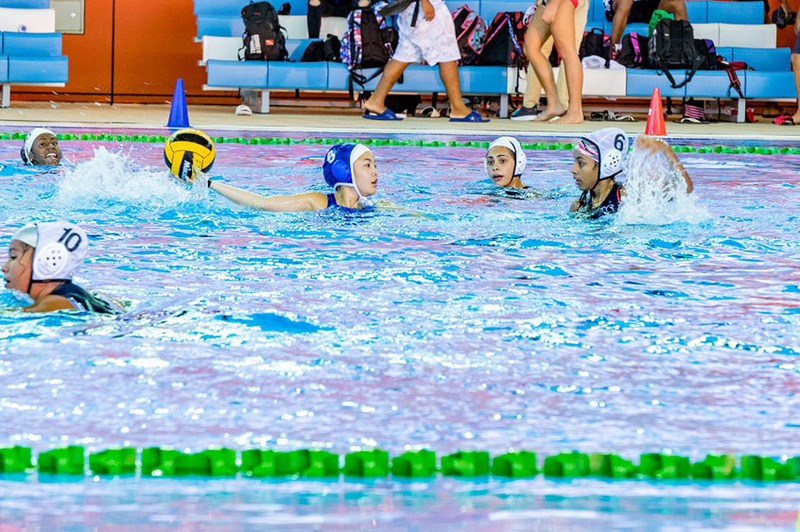 The National Schools Water Polo Leagues are among the most highly anticipated events on the Water Polo calendar and have proven to be fruitful training grounds for Olympic, professional and University level athletes. This year, the League is marking a new milestone by partnering with Republic Bank as a title sponsor of the League’s events. In delivering remarks at the Secondary Schools League’s launch, Baldath Ramkissoon, Republic Bank’s Senior Manager of Group Treasury, said the Bank’s support for the league was in keeping with its commitment to empowering youth development through sport as part of its Power to Make A Difference Programme. He added that the water polo was part of a long, distinguished history of sport in Trinidad and Tobago and encouraged the League’s young athletes to build upon that tradition while achieving their full potential.